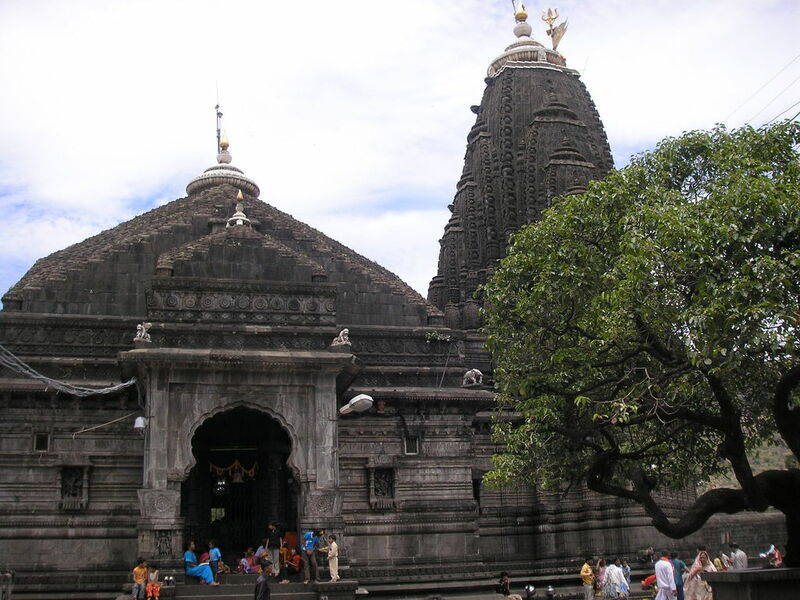 Nashik Trimbakeshwar is an ancient Hindu temple in the town of Trimbak, in the Nashik District of Maharashtra. Trimbakeshwar is the one of the Jyotirlinga of Load Shiva, It is situated 30 k.m. away from Nashik, Maharashtra. The peaceful atmosphere combined with a pleasant climate makes Trimbakeshwar an ideal spot for nature lovers and those looking for spiritual relief. The temple is built entirely with black stones and has a spire topped with a golden trident. The porch of the temple is decorated with beautifully carved and decorated pillars and arches. The temple walls are intricately sculpted with floral designs and figures of various Gods and Goddesses. 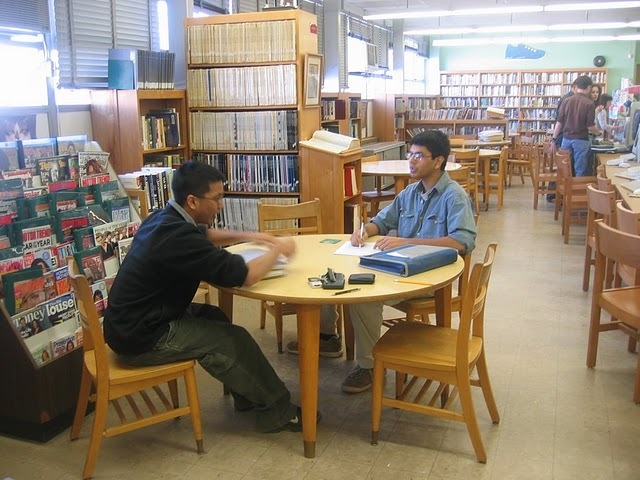 It is a very popular getaway destination for residents and tourists alike. The village houses, the sacred ancient Hindu shrine, Trimbakeshwar. The weather at Trimbakeshwar is cool and one can enjoy the drive on the route. Its a mesmerizing route from Nashik to Trimbak. The route is beautiful and one of the best I have come acorss till Date.The temple is really beautiful with intricate art work done on the outside. Trimbakeshwar town is an ideal weekend getaway destination from Mumbai and from Pune, if you wish to get some inner peace, away from the regular stress of city life. Placed on the banks of River Godavari, which originates from here itself, this town is the perfect option for you if you want to spend some peaceful moments with your loved ones. Being a sacred place, Trimbakeshwar is dotted with a number of temples, wherein each one is worth visiting. This peaceful place is just the right kind of place to treat your eyes to the scenic beauty spread around. The temple is at the source of the Godavari River, which is the longest river in peninsular India. Kusavarta Kund is considered to be the symbolic origin of the river. Originating from the Brahmagiri mountains and culminating at the sea near Rajahmudry, the river is considered very sacred within Hinduism. The existing temple was commissioned by Peshwa Balaji Baji Rao (also known as Nanasaheb). Legend has it that Nanasaheb had betted against the stone surrounding the Jyotirlinga, to be solid. Trimbakeshwar temple is an important religious center, housing one of the twelve Jyotirlingas, the remarkable attribute of the Jyotirlinga located here, is its three faces embodying Lord Brahma, Lord Rudra and Lord Vishnu. The linga has started to erode due to excessive use of water. Religiously this erosion is believed to typify the eroding nature of modern day human society. Acknowledged for its appealing all black-stone architecture and sculptures, the temple is famous for administering lots of religious rituals (vidhis). A centre for Vedic Gurukuls (kind of boarding school), Trimbak town has a huge number of Brahmin households. Untouched by pollution, Trimbak is surrounded by lush green hills and is known for its scenic beauty peculiarly during the monsoon season. 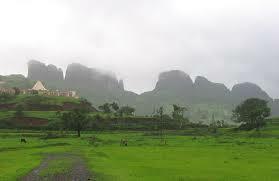 An extreme weather which includes very hot and arid summers and very cold winters prevails in Trimbakeshwar. 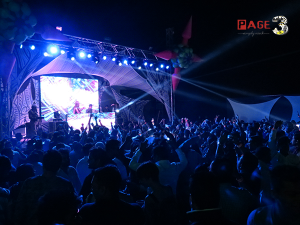 The monsoons and winters are the best period to visit the town. 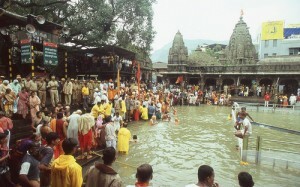 The Simhasta Kumbh Mela is held once in 12 years in Trimbakeshwar. The Kumbh Mela is marked by millions of devotees who plunge themselves into the river Godavari under the belief that it will wash away their sins. 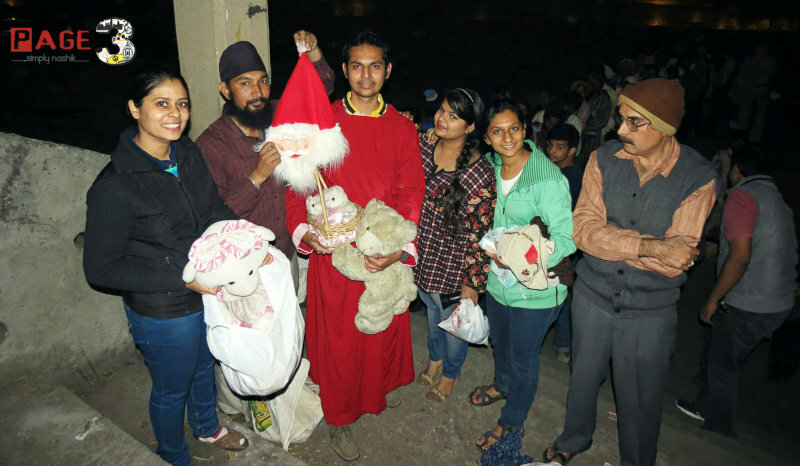 The annual festival of Shivratri is also celebrated in Trimbakeshwar with fervour. From Nashik-Trimbakeshwar road, one has to take a diversion from the Anjaneri Phata towards the Anjaneri village, from where it takes around 2 hours to reach the Anjaneri plateau on foot. Here you can visit the Anjaneri fort and the Temple of Anjani Mata, the mother of Lord Hanuman. 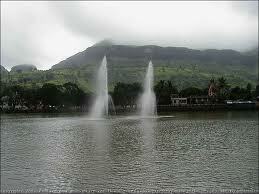 Brahmagiri is sacred place at Trimbakeshwar ; which is also famous for one of the Jyotirlinga. It is said that Lord Shiva struck the “Jataa” on this hill which created the source of river Godavari.Route to Brahmagiri is well trodden. Proper route has been developed from the beginning. Rock cut staircases till top has been made with three entrances. During monsoon, it is utterly scenic place. Must watch!!! Away from crowd on the foot hills of Brahmagiri hills the atmosphere here calm and pleasant for whole 12 months. One can find ample amount if peace here. The peaceful atmosphere combined with a pleasant climate makes Trimbakeshwar an ideal spot for nature lovers and those looking for spiritual relief.